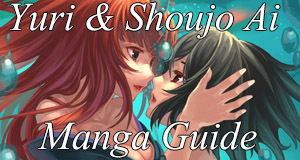 Welcome to the guide for vampire anime. This guide is for newcomers and regulars alike looking for anime with the fanged kin. Any anime with a prominent vampire element is included in the guide; the protagonist doesn’t have to be a vampire. The series are grouped by recommendation level from ‘watch it’ to ‘avoid it.’ There is also a special vampire rating to assess the vampire aspect specifically. A series can be good, but have underused or shallow vampire lore. The opposite is also true; a dull anime can have an awesome vampire. Vampires in anime have most often drawn influence from the gothic European vampire myths such as Dracula and the savage Strigoi of Romania. Of course, like all entertainment mediums today, several series have arisen with the vampires as seductive incubi that make every teen girl swoon. Anime has offered interesting takes on vampire lore, and even if you aren’t keen on vampires specifically, several series are worth a watch for any anime fan. For first time viewers: These are the best anime to start with if new to the vampire genre. Hellsing Ultimate [MAL] – A remake and continuation of Hellsing. 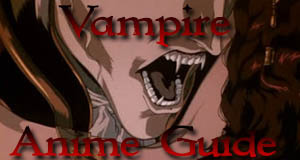 The vampire Alucard is at the centre of a conflict between England, the Vatican, and rising Nazi vampires. Vampire rating: Twisted with amazing powers. Shiki [MAL] – The citizens of a rural village begin to die off mysteriously after a new family moves into the castle on the hill. Vampire rating: Mysterious and creepy. Vampire Hunter D: Bloodlust [MAL] – The story revolves around D, infamous “dunpeal” (born of a vampire father and a human mother) outcast and renowned vampire hunter. He is called upon to locate Charlotte Elbourne, the lovely daughter of an affluent family who has been kidnapped by a vampire. Vampire rating: Gothic awesomeness. Castlevania – Based on the classic video game franchise. Vampire rating: Vengeful. Gankutsuou: The Count of Monte Cristo [MAL] – The tale of a mysterious count and his quest for vengeance in the 6th millennium. Vampire rating: Sophisticated and calculating. JoJo’s Bizarre Adventure [MAL] – A multi-generational battle between the Manliest of Manly Men over the power of an ancient Aztec mask that turns people into vampires. Vampire rating: Too manly to handle. Black Blood Brothers [MAL] – Vampire Jirou and his little brother Kotarou travel to Japan for the ‘Special Zone’ where humans and vampires live in peace. However, the Kowloon Children, feral vampires thought wiped out by Jirou ten years ago in the Hong Kong War, kidnap Kotarou and forces Jirou to fight once more. Vampire Rating: Ancient, but incomplete. Blood: The Last Vampire [MAL] – A brooding and mysterious girl named Saya is the best teropterid slayer there is, and in 1960’s Japan, she is sent to a U. S. army base which may be infested… Vampire Rating: Your weird classmate. Blood+ [MAL] – Chiropterans are immortals who feed on the blood of the living. Saya is a high-school girl who lives a peaceful life with her family. However, her happy life is destroyed by an event that will lead her to her destined fate. Vampire rating: Better than the protagonist. Trinity Blood [MAL] – A vampire priest fights rogue vampires for the Vatican in the distant future as the Vatican tries to negotiate peace with the civilised vampire nation. Has an android priest and a hologram nun. Vampire rating: Vampire priest with a split personality. Vampire Hunter D [MAL] – A woman hires a vampire hunter to kill the vampire count that lords over her town. Warning: Very dated. Vampire rating: Giant sits in his castle. Doesn’t do much. Blood Lad [MAL] – Staz is the vampire boss in the demon world and otaku of Japanese culture. When he learns that a teenage girl accidentally wandered into the demon city, he jumps to the occasion. However, the oblivious girl is killed by a monster and becomes a wandering ghost. Staz vows he will find a way to bring her back to life. Vampire rating: Weak vampires with little vampiric about them. Dance in the Vampire Bund [MAL] – Mina Tepes, daughter of Dracula and queen of vampires, wants to setup a vampire district island in Japan in exchange for paying off the national debt. However, government officials and other vampire clans resist her play for power. Vampire rating: Distracted by lolicon. Karin [MAL] – Karin suffers from a condition that causes her body to produce excessive amounts of blood. About once a month, she has to get rid of the excess blood by giving it to her “victims.” Things get more complicated when a new student, Usui transfers into Karin’s class and she starts producing unusually huge amounts of blood. Vampire rating: An un-vampire. Hellsing [MAL] – Hellsing follows the anti-heroic vampire, Alucard, and a police girl-turned-vampire, Seras, employed by the vampire-extermination group of England, the Hellsing Organization. Slowly but surely, they find a new breed of vampires beginning to arise. Vampire rating: No cares to give. Strike the Blood [MAL] – This school action harem revolves around Kojou, a boy deemed the world’s most powerful vampire (once thought to only exist in legend and lore), and Yukina, a girl entrusted with watching over the vampire and if needed, hunting him down. Vampire rating: Harem fodder. Blade [MAL] – Blade has come to Japan where he is confronted by Deacon Frost, the vampire who attacked his mother. At Frost’s command is Existence, a vampire organization whose members have been modified by Frost. Vampire rating: Death by sneezing. Hitsuji no Uta [MAL] – Kazuna has a disease that creates a thirst for blood. As the sickness begins to show signs, he comes into contact with his older sister, Chizuna, who has been suffering from it since early childhood. Chizuna tries to ease her brother’s burden, to help him learn to control his urges. Vampire rating: Empty. Rosario + Vampire [MAL] – A guy accidentally gets admitted to Youkai Academy, a school attended by monsters. How will the only (weak) human in this monster academy make it through the semester with so many girls around him? Vampire rating: Pathetic. Tsukuyomi: Moon Phase [MAL] – A vampire girl goes to Japan in search of her mother. There, she invites herself to live with a photographer of the supernatural. Vampire Rating: Not vampires. Vampire Knight [MAL] – Cross Academy is an elite boarding school with two separate, isolated classes: the Day Class and the Night Class. Yuuki and Zero act as guardians, protecting the secrets of the vampire Night Class and the safety of the ignorant Day Class. Yuuki has a crush on the leader of the vampires. Vampire Rating: Twilight.